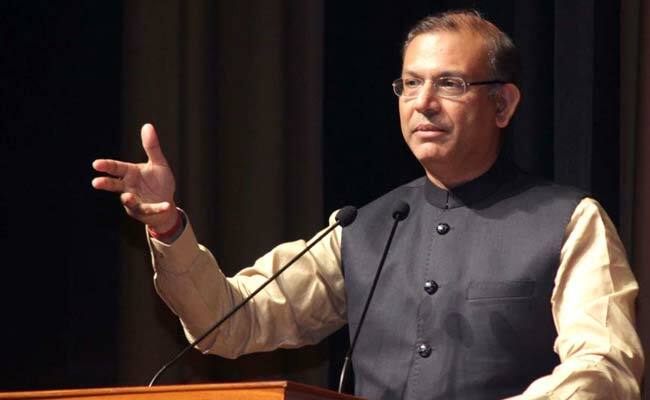 New Delhi, Nov 13: Union minister Jayant Sinha today asked airlines to give "frequent and honest" information to their passengers about flight delays after a traveller onboard a delayed plane complained to him on Twitter. "Jet Airways, AirIndia, GoAir, IndiGo, SpiceJet, AirAsia and others should certainly communicate frequently and honestly with passengers regarding delays - this is the SOP," the minister of state for civil aviation tweeted. His instructions came after the passenger complained to him on Twitter about a delayed Jet Airways flight today. "Sir I am sitting in a @jetairways plane for over 1 hour 15 minutes. STD was 1325. Now it's 1447. I have checked with the crew and called up customer care. None of them know when this plane will take off. 9w272. Interesting how airlines run these days! !," posted Parul K Gupta. The flight from New Delhi to Dhaka reached its destination at 5.52 PM after a delay of nearly two hours.